The opportunity for anyone to start an online business is made easy by the fact that many web hosts exist. In fact, there are hundreds of options. From Hostgator to iPage to Bluehost, so many options are available that anyone can be certain if one hosting provider does not suit your needs or fails to provide quality customer service, another company will. Additionally, since it is always a matter of good practice to go elsewhere if one company does not provide a quality service, all these hosting options make switching hosts easy. At least, it seems there are hundreds of options. 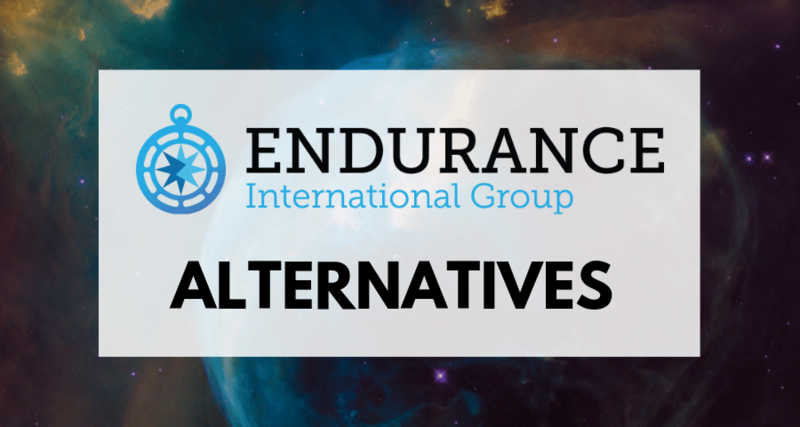 In contrast to how it seems, many well known hosting companies are owned and operated by Endurance International Group (EIG), one of the world’s largest web hosting companies, who own a long list of brands. Consequently, many of the problems a person faces on one web host service exist at any number of the others. Another consequence of one company owning most of the web hosts throughout the world is one of price-range fixing. Generally speaking, setting an industry’s price at a desirable, fixed point is called price fixing, and it is illegal. However, if a large company instead owns nearly all the leading web hosts and changes the prices here and there, ever so slightly, from one web host to another, the customer appears to have a choice even if the difference in price is not significant to the end user. Additionally, the average price becomes fixed at whatever rate the company desires. Legally, this practice is not price fixing, but it ensures the company gets the overall target price desired for the product. For a true choice that results in a real difference among products and services and real price options, it is important to shop elsewhere. First, however, you have to know where to shop. Over the years I have written dozens of web hosting reviews so I wanted to put together a list of reliable affordable hosting brands. At the time of writing this article, the following web hosting and domain registration brands are currently not operated by EIG. In an era of do-it-yourself fortunes, Siteground is an internet wunderkind. The company started out as a conversational forum with a few programming products and services. Gradually, as the site became more popular, it transformed into a full-fledged hosting and web-design company. For instance, Siteground currently offers traditional web hosting, which consists of shared hosting services, but it also offers custom web design and secure WordPress hosting. Secure WordPress hosting arose out of a need for secure sites. The need for secure sites arose, in part, from the habit of EIG-owned hosts getting hacked–over and over and over. Being that WordPress is used to operate nearly 30 percent of the world’s websites, security became paramount, yet many EIG-backed hosts do not offer secure WordPress hosting. 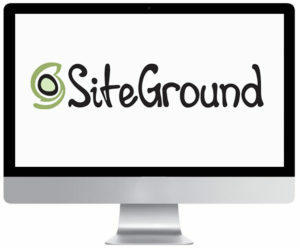 Siteground, however, continues to evolve and grow, offering just that: managed, secure, WordPress hosting. Note: in addition to their hosting services, Siteground offers comprehensive, custom programming services to designers and business owners. It is in the area of custom programming that Siteground originally made its mark, and as programmers, their reputation is solid. A2 Hosting is one of the internet’s most popular web-hosting companies. In addition to its hosting capabilities, it strives to ensure the fastest service possible for business owners and private individuals alike. To accomplish this, all its web host accounts are on SSD servers, which are up to three times as fast as older, disc-based servers. In addition to offering state-of-the-art hosting speeds, it does so affordably. A2 Hosting is so confident in its abilities that all customers are protected by a 100-percent money-back guarantee. Simply put, at any time during any hosting month, customers can cancel their service and receive that month’s payment refunded–no questions asked. 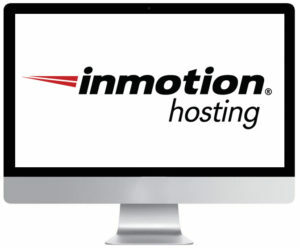 Inmotion Hosting is another host that specializes in shared hosting. However, they also offer virtual hosting and dedicated servers for businesses requiring a mix between security, speed, and affordability. The reason virtual hosting options are important is that shared hosting consists of bundling all customer accounts on one hard drive. In the same manner that a personal-computer user might store several file folders on his or her Windows computer, shared hosting houses all customer accounts and their websites and files on the same disc drive. The problem with this practice is that if just one of those accounts is hacked, all of the customer sites may be at risk. Additionally, if one account uses too many resources, such as memory or CPU, all accounts will suffer from the drain. For instance, if a customer runs an advertising campaign, resulting in a swarm of traffic, the host’s servers will slow down as they attempt to handle it all. As the computer servers slow down to deal with this one account, all the other accounts on that hard drive will also experience sluggish performance. In an era where customers will not tolerate a site if it takes more than a couple seconds to load, slow performance cannot be tolerated. Virtual hosting, however, places each account on its own, unique, virtual machine. Although all the virtual machines are hosted on the same server, they are walled off from one another. Consequently, the damage sustained by a hacked account does not jeopardize other accounts on that server. Additionally, each account on the server receives a dedicated portion of the server’s available resources. If anyone account receives a lot of traffic, website performance for other accounts does not suffer as a result. One of the most important aspects of Inmotion hosting is that it is geared, in part, to newcomers or non-technical customers. Most shared hosting accounts and all non-managed virtual private hosting accounts require the customer to install, setup, and maintain his or her website. However, if you are not technically proficient, InMotion Hosting offers you the option of a professional-grade website creator app to help you design your website. It is reliable, user-friendly, and affordable. More important, it allows you to focus on your business. Simply put, shared hosting has its problems. From shared resources that experience decreased global performance to increased risks arising from potentially slipshod security practices of inexperienced web administrators, shared hosting involves a level of professional business risk offset only by its cheap price. In fact, because of the risks involved, the only benefit for customers selecting shared hosting is that it costs less. Cloudways eliminates the problem of shared hosting by offering affordable managed hosting. Managed hosting involves all of a customer’s website security and installation being monitored and managed by the web host, in this case, Cloudways. If anything goes wrong–and something always goes wrong–staff administrators and tech-support specialists are able to identify the problem and fix it without the need for the customer–you–to get involved. In fact, managed hosting is so hands-off while being very secure that it is difficult to understand why shared hosting still exists. Note: Cloudways’s Startup Program is its most unique service, one that is rarely found outside of a business incubator, and it will benefit startups and small business owners in ways other hosting services cannot. Note: although their managed hosting is more expensive than shared hosting, the total cost in question is only $10 to $40 per month. For a business owner, the slight additional cost might very well be worth the ease of use. Following Cloudway’s lead, LiquidWeb’s focus seems to be ease of use coupled with lots of options. For instance, they offer shared hosting options as well as dedicated hosting accounts and virtual private servers, but in each case, these hosting options are managed. Such options ensure you receive exactly the service you need–no more, no less. Additionally, managed accounts allow you to focus on business development rather than IT maintenance and web support. In the area of managed WordPress hosting, LiquidWeb is another newcomer. Additionally, like Cloudways, they also offer reseller hosting. However, where they do differ is in their focus on e-commerce. For instance, if you are a website administrator and you need need to launch an e-commerce site, LiquidWeb makes it easy for you by specializing in WooCommerce hosting. WooCommerce is one of the premier e-commerce shopping-cart plugins, and it has been gradually perfected over the course of the last eight years. It handles payments, bills of laden, shipping, sales taxes, and inventory. For e-commerce website owners, LiquidWeb is a treasure. Finally, LiquidWeb is one of the only HIPAA-compliant hosts in the country. This is important for customers in the telehealth industry or anyone required by law to safeguard sensitive patient or customer information. Note: when it comes to customer service, LiquidWeb excels. If you are a difficult customer, requiring their assistance several times per week. You will find their theoretical 59-second tech-support guarantee is actually, on average, something more like a 22-second tech-support guarantee. 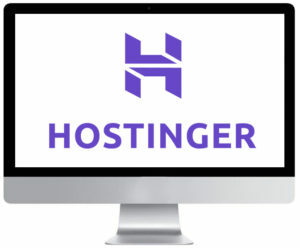 Low price is Hostinger’s coup de grâce on the shared-hosting industry. In fact, their low prices extend to every product in their menu. From shared hosting to managed hosting to virtual private servers to WordPress hosting, they offer bottom-dollar prices. When it comes to web hosting, if you want to save money, you will not save significantly more money anywhere else on the internet. Additionally, their services are robust and comprehensive, something you might not expect from such an affordable hosting company. For instance, their VPS servers are housed on SSD servers. Additionally, each customer receives a dedicated IP address. Dedicated IP addresses are sometimes important to programmers developing for companies such as Playstation, which requires its partner programmers to have a dedicated IP address. 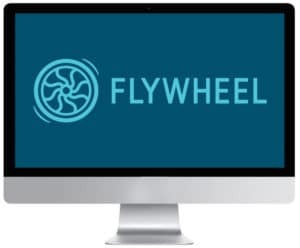 Flywheel got started when one of the founders realized that, month after month after month after month, too many WordPress sites were being hacked. Flywheel’s managed WordPress hosting is the solution to that problem. In fact, Flywheel accepts all security responsibilities, so you can remain focused on building and growing your business. They monitor all the servers all the time, maintaining a firewall that protects against such threats as DDoS and brute-force attacks. Additionally, they offer a range of hosting solutions for individuals, small business, or large teams, and each customer, no matter the size, receives a free SSL certificate for all accounts. SSL certificates are important in that they prevent a person’s connection to a website from being monitored by a third party. Without SSL, any spying bot or program would theoretically be able to intercept credit card numbers, personal data, and passwords as they are being typed. With SSL, the connection from your browser to a website is extremely unlikely to be monitored and the data siphoned. To determine if your browser is secure, simply look at the URL. If it begins with “https://”, your connection is secure. Finally, each account, from “Tiny” to “Pro,” is hosted on its own virtual private server. To do otherwise is to not take advantage of the extra layer of security VPS hosting provides, and Flywheel ensures each customer is provided solid security across the board. Although Flywheel advertises speed, their CDN plugin is only available for their mid-level accounts. Entry-level accounts do not receive the CDN plugin. Note: in terms of traffic restrictions, all managed WordPress hosts that provide managed security impose limited resources and limited traffic. Of the three leaders in this field–Siteground, WP Engine, and Flywheel–Flywheel offers the most generous monthly traffic quota along with the most generous server resources. 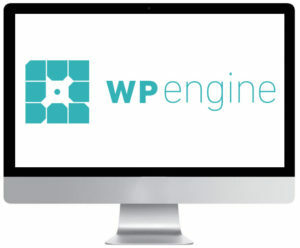 WP Engine is yet another managed WordPress host. In fact, tied with Flywheel, WP Engine is the industry leader. Their service focuses on providing you all the tools necessary to keep your sites safe, and each one of those tools is managed by WP Engine staff. Additionally, they offer a fast server nearly twice as fast as those offered by other managed WordPress hosts. WP Engine is integrated with Amazon S3 accounts, and the website-installation process is made easy for inexperienced website administrators in that WordPress is pre-installed in each account. All a website administrator needs to do is log into the account, upload the preferred WordPress template, and get to work. Finally, something other hosts do not provide themes. Included in each account are professional themes created by Studio Press. If you are a WordPress fan, regardless of what WordPress host you select, you will always need a WordPress theme. Ready-made options included in your WP Engine account remove a significant cost and worry from the website-launch process. Note: although the accounts are on shared servers, WP Engine specializes in automating the security for each shared server. This means they can detect a problem when it happens and take immediate measures to protect your account. Unlike other shared hosts that require the website owner to somehow repair a hacked site, a requirement that is typically beyond the ability of any amateur website owner, WP Engine stands behind their promises to keep your site secure. Their WordPress accounts might be hosted on shared servers, but in terms of security, their shared hosting outperforms everyone else. Simply put, if your account is hacked, they fix it. EIG doesn’t just own a wide array of web hosting brands but also offer other services such as domain registration via their Domain.com brand as well as website builders such as Sitebuilder.com. In this section, I’ll cover some of my other alternatives to EIG for when you want to buy a new domain name. In order to host a site, you need a domain name. The curious thing about name registrars is that no matter which company you use to register a domain name, you do not really need any other services. All that is required is that the domain name is successfully registered under the customer’s name. Consequently, any domain registrar that offers other domain-related services is over-selling otherwise non-essential services. In fact, when it comes to domain registration, the only real difference between services is the dashboard. An easy dashboard, for instance, amounts to easy domain-name managing. If the dashboard is confusing, domain registration can be frustrating. A user-friendly dashboard is all that is really needed. Namecheap understands this. 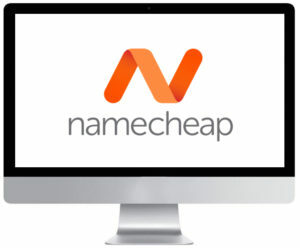 Consequently, their domains are, well, cheap (as their name advertises), and unlike other name registrars that attempt to up-sell advertising or other unnecessary features, Namecheap focuses only on name registration. They do offer other services, but their domain-registration processes are very basic and, because of this, one of the best. Among their other services are the hosting solutions, both shared and managed. Additionally, WordPress hosting is available as are virtual private servers and dedicated servers. Originally built on the foundation of cheap domain names, Namecheap is now doing what Siteground did years ago–expanding. Yet their basic function, domain registration, remains easy and cheap, as it should be. Namecheap’s expansions are so broad that it now seems more of a hosting service than a domain-registration service. As such, you might wonder if its services are as mature and stable as those offered by other hosts. However, various reviews across the web put Namecheap solidly in the upper three-star to the four-star service area. With Namecheap, you will not be disappointed – learn why I recommend Namecheap over Godaddy. Tucows was one of the very first domain registrants. Through enom.com, they offer retail domain registration to the public. Through their website OpenSRS.com, they offer wholesale domain-registration services to web hosting companies, such as Siteground, Shopify, Squarespace, and others. Like Namecheap, Tucows offers web hosting. Unlike Namecheap, they have been around since 1997. For the last two decades, Tucows has been one the internet’s infrastructural giants. Consequently, their reputation is untarnished, and their capabilities have proven. Tucows could very well be one of the best, most reliable choices for either domain registration or web hosting.